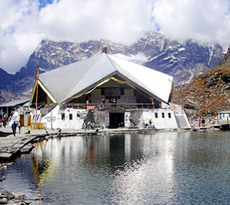 ‘Dev Bhoomi’ Uttarakhand is lovingly known as, is believed to be the very residence of Gods. 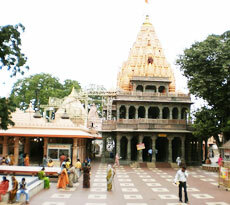 Rishikesh is one among the holy places in India that lie in the mountainous state. That being said, the town has a number of wonders to it. 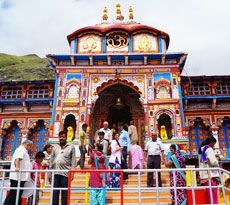 The bliss of mountains, the holy River Ganga, ancient temples and more give enough reasons to visit this pilgrim town. Sitting on the foothills of Ganges River is one of the perfect getaway for spiritual bliss. 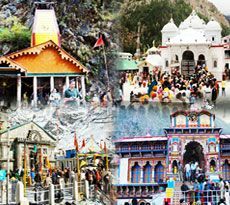 The Rishikesh tour packages offered by India Pilgrim Tours is the perfect blend of spirituality and thrilling activities in the city. There is no better way to start the journey than taking a ritual bath at Triveni Ghat, at the banks of River Ganges to get rid of the sins. 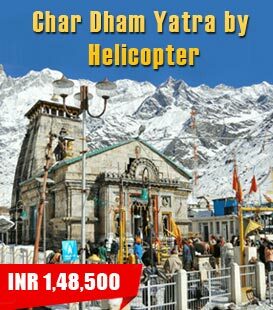 Our Rishikesh tour packages next take pilgrims to attractions like Trayambkeshwar Temple, Lakshman Jhula and Ram Jhula, Neelkanth Mahadev, Parmarth Niketan. 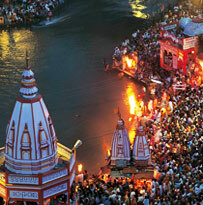 The mesmerizing ritual of Ganga aarti is also held here at the river ghats. Lamps are lit and offered in reverence of the Goddess Ganga. Not to forget that the city is known as the ‘Yoga Capital of the World’. The power of Yoga and meditation is best realized at any corner of the city. There are a number of places where you can learn or enhance your knowledge about the postures of Yoga. Some share of Rishikesh being one of the must visit places in India goes to its warm ambiance and a rather pleasant climate. 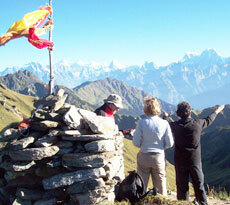 Travelers can plan a visit to the city any time of the year, only barring the months of monsoon. 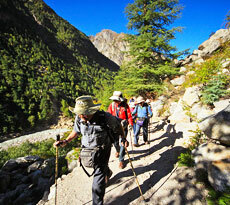 Bringing together the best of nature and everything an adventurer could ask for is, Rishikesh. Furthermore, your Rishikesh trip is not complete without trying the adventure activities for which the city is known across India. 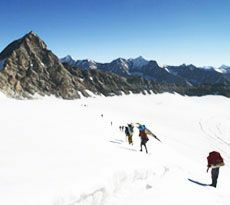 Whether it be white water rafting, bungee jumping, flying fox or cliff jumping, mountain biking, rappelling and camping. You would probably run out of days but not challenges when in Rishikesh. 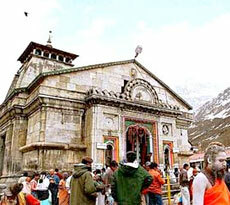 Furthermore, the blissful setting of the town is the perfect start to a Char Dham Yatra. Don’t worry, you don’t have to make the arrangements as our Rishikesh tour packages will cover it if you want.